If your browser displays incorrect colors after animation playback, look here. 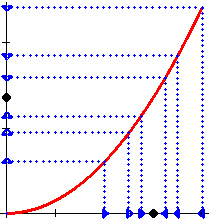 the number L is approached by the function values f(x) corresponding to x values that approach c.
The top graph depicts the given function, and a triangle illustrating the rise corresponding to the run=1. As the animation advances, the triangle moves along the graph, and the rise/run values are used to create the derivative graph underneath. 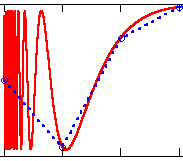 Note that the positive rise/run values are indicated in green; negative values are indicated in red. The arc length of the graph of y=f(x) from x=a to x=b can be defined using the the length of a polygonal approximation to the graph. The first example illustrates a sequence of polygonal approximations of a rectifiable curve, i.e., a curve with a finite arc length. 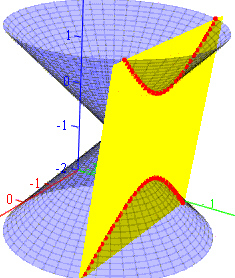 In the second example, the curve has infinite length. These animations are intended to visualize the convergence or divergence of infinite series. Two graphs are included. One of them contains the terms of the series, represented by arrows. The other one illustrates the partial sums - it uses the same arrows as the other graph, except that they are "stacked-up". An ellipse is a set of points in the plane, whose sum of distances from two fixed points is constant. 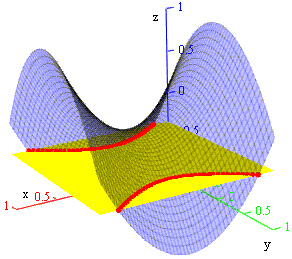 In the given conic section, several rays will be started at various points. The appropriate reflective property will only be observed when the rays originate from a focus. A circle of radius r is rolling on a parametric "base" curve B(t). A spoke of length R is connected to the center of the circle, and a pencil attached to the end of the spoke traces a resulting curve. 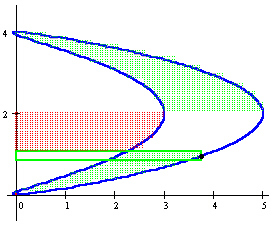 Note that the situations where the circle would get "stuck" in the base curve (e.g., due to the radius of curvature of B(t) becoming smaller than r) are not recognized. 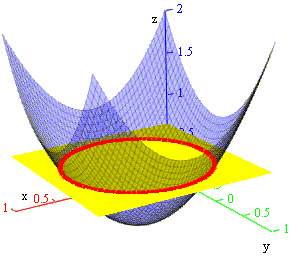 A physical interpretation of the resulting curve could be based on considering the 2-D picture to be a projection of a "thin" 3-D picture. if the curve is traversed clockwise. We illustrate the use of these formulas for calculation of area in the two examples below. Definite integrals are approximated with the corresponding Riemann sums, and each animation frame corresponds to adding one term to the sum. The area corresponding to the current term is enclosed in a rectangle - if the term is positive, then the rectangle is green, otherwise it is red. The partial sum of the terms included already is depicted using a dotted pattern - the dots are green within region whose area is accounted for with a factor +1; the red dots correspond to regions accounted for with a factor -1. We examine cross-sections of quadric surfaces with planes parallel to one of the three coordinate planes. Both three-dimensional and two-dimensional (facing the plane) views are included. In Netscape 3.x, select Open New Browser from the File menu to restore proper colors (the new browser window can then be closed). In Netscape 4.x, you may want to try reloading the document. Generally, if this problem arises when your graphics display is set to 16 or 256 colors, try increasing the number of colors (e.g., to 16 million colors).